They promised they would shake things up in 2016, and by gum, they have. 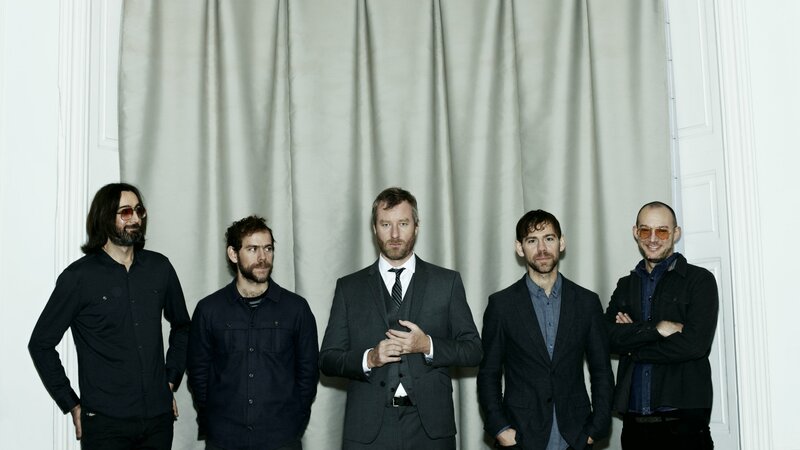 The first Bluesfest lineup has just landed, revealing that next year’s festival will be led by none other than The National. Joining The National on the monster bill for the 27th annual Byron Bay event will be legends UB40 and City And Colour, as well as a selection of some of the other hottest acts in blues, folk, soul, jazz, and roots music around today like The Cat Empire, Allen Stone, Joe Bonamassa, Shakey Graves and more. The National’s appearance will be exclusive to the 2016 festival, playing on Friday 25th of March, as will that of UB40 featuring Ali Campbell, Astro and Mickey Virtue who will perform at Bluesfest on Sunday 27th of March and Joe Bonamassa, who will take the stage on Saturday 26th of March and Monday 28th March. Festival boss Peter Noble recently announced plans to shake things up next year, with a bigger emphasis on younger and more contemporary acts, who have either never toured Australia or never performed at Bluesfest before. “There will be many more to be announced, both Classic and Contemporary, and if this first announcement does not ring your bell – and I would be surprised if it doesn’t, at the very least, give you a little tingle – then I’m totally convinced there will be something for you in the coming ones,” said Nobel in a statement. The award-winning five-day Bluesfest event is held annually over the Easter long weekend at the Tyagarah Tea Tree Farm just north of Byron Bay. Punters will no doubt be keeping their fingers crossed that this year’s instalment will have some better luck than last year’s, which saw headliners The Black Keys and Lenny Kravitz both cancel their appearances, and Sheppard and Ben Howard pull the plug as well. Noble has also flagged some potential other changes for 2016, including a proposal to shift the headliner slot to 5pm each day so that the whole family can enjoy it. But it looks like we’ll have to wait a bit longer to find out whether or not that dream will become a reality. Tickets to Bluesfest 2016 are on sale now. Check out the first lineup announcement, in all its glory, below. UPDATE 23/09/15: Living legend Tom Jones and one half of Oasis Noel Gallagher lead the monster 2nd lineup announcement! Find all the details here. UPDATE 13/10/15: Acclaimed West Coast rapper Kendrick Lamar has joined the festival lineup and will headline the Thursday night of Bluesfest 2016. UPDATE 5/11/15: The Beach Boys’ Brian Wilson has been added to the bill alongside a handful of other names including blues and roots legend Taj Mahal. UPDATE 26/11/15: Soul man D’Angelo has been added to the bill alongside Cold War Kids, Hitaus Kaiyote and a bunch more. UPDATE 03/12/15: Even more artists have been added to the Bluesfest 2016 lineup including The “Original” Blues Brothers Band. UPDATE 16/12/15: A special Christmas announcement has seen 10 more acts added to the Bluesfest 2016 lineup, including Modest Mouse & Ash Grunwald. UPDATE 04/02/16: Eagles Of Death Metal plus a slew of other names have been added in the final lineup announcement. Tickets to Bluesfest 2016 are on sale now.